Tennis remains one of the most intense sports played all over the world, and as a result, there are now more tennis betting sites than ever before. The sport is largely adopted as one of the main options you can choose from when you first open up a sportsbook – mainly because there are so many great players, huge tournaments and chances for punters to win big in a variety of markets. Many people will choose or prefer to bet on the bigger tournaments, such as Wimbledon, but you can freely bet on player performance and on how they perform at other tournaments throughout the year if you so wish. Here you can see the very best tennis bet sites online in the UK. For the very best deals, make sure to have a look through the various websites. British tennis has never been bigger due in part to the massive success of Andy Murray over the past few years. This guide is here to help you understand why the sport is such an exciting one to get into as a new better, and what options you have available to you from site to site. Tennis betting odds are amongst some of the most flexible. This is because players change form and style very quickly from tournament to tournament, depending upon their physical performance, their preference of court style, and their temperament. It is an immensely intense sport to play and, as a result, a bet which may seem safe in one tournament will not necessarily look so great in the next one. You have to take a close look at the form of the various players open and available to you – and understanding the way in which these odds work will help you, too. Odds for matches can be presented in a traditional style, like that which you may find for horse racing bets or football betting, or in fractions – and these odds can evolve and change massively from game to game, particularly as players start to perform better or even struggle, depending upon the day. Live betting is particularly recommended with this sport as only the brave – or the very lucky – go all-out with long odds on an outright winner, especially when it comes to a tournament. Tennis live betting, which means you essentially punt on odds while a match is underway, gives you a greater chance at being able to claim winnings back if a match is particularly balanced. Betting on outright winners is only ever recommended for the most confident and/or lucky, whereas in-match betting will allow you to take advantage of certain factors. This means that if a player who normally performs well is starting to let the game go to their head, you can take advantage and bet against them – perhaps at fantastic odds. Live betting has revolutionised the way we watch and appreciate the sport, and there are plenty of sites you can use to start getting into this style of punting. What makes up the perfect tennis betting strategy for you? Of course, it will vary from person to person – but it’s generally advised that you try and specialise your bets wherever possible. This means that you should really look to focus on one particular circuit – men’s, women’s, doubles – and stick to it. You can also choose to only focus on Grand Slams, if you prefer, which are the bigger tournaments and trophies on the calendar. Make sure you trust the bookmakers. We often recommend PayPal betting sites, as PayPal is a trusted payment method. Another good strategy to put into practice is to analyse and appreciate different playing styles. This means that – regardless of who you are betting in favour of – it is worth paying attention to the other player, too. One playing style may not gel well with another – it is just one of many, many variable that can really tip the odds in your favour, or can help you lose your bets completely. Be careful! 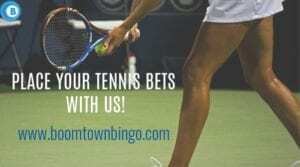 There are plenty of guides out there which will lead with the strapline ‘how to bet on tennis and win’. The simple fact is, such bets aren’t that simple. While on the face of things, you can simply choose which players you think will win each match-up, things run a little deeper. You never know which players are going to be on-form or which are going to have an absolute nightmare unless you keep track of form, and unless you analyse in detail. The best way to win at betting is to diversify your options. Certainly specialise in one or two areas, but choose different sportsbooks and work with average odds – minimise those risks. Tennis betting online has exploded in the past few years and it’s thankfully become more and more readily available to players in the UK and elsewhere. You can now use your mobile or tablet to bet on matches and tournaments, which means that there’s now better flexibility than ever before. This is essential for those bet enthusiasts who want to take advantage of live betting and who need to know everything about those players, their strengths and their weaknesses. Placing bets is intense and in-depth without ever getting needlessly technical. If you’re searching for ‘how to make money betting on tennis’, we’re here to advise you that there are tons of different ways for you to do so – but that you can also lose big if you don’t read the signs. There are many tennis tipsters which you can check out. For safe bets and wins, you should of course always look for the bigger names – but even they are susceptible to injury, or off-days. Making money off betting full stop isn’t an exact science – but you can work it to your advantage by diversifying and looking at average odds across several providers. 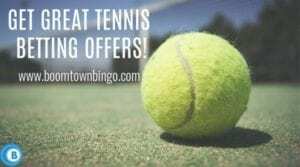 It’s easy to find worthwhile tennis bet odds online. 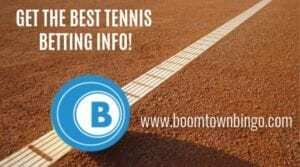 Look at the best tennis betting sites and the types of tennis bets for more details on how to really intensively get into the game – but if you’re just starting out, it’s worth analysing the players and how they perform. It’s a good place to start!